This week the Tottenham Hotspurs – Arsenal encounter is he biggest game on this weekend’s calendar. The game has massive implications beyond the usual bragging rights for these north London rivals. Arsenal are looking to salvage their season by solidifying a top four birth, while Spurs need to get in the Champions league after missing out last year. Arsenal are having the worse campaign in Arsene Wenger’s 17 year reign at Arsenal. and if they don’t win a trophy this year, which is highly unlikely, it will be 8 years since they won a trophy. Wenger has been given some leeway by the fans because of the terrific job he has done in his tenure. However, after going on record and stating that their only concern is the Champions league, qualifying for it, will be somewhat of a success and the fans will accept that for now, albeit begrudgingly. If they do not qualify for the Champions league, it just might be the straw that breaks the camel’s back. Failure to make the champions league would not only will it be a tragedy on the field, it will also be a huge financial setback off it and it maybe the one thing that just might put Wenger’s job in jeopardy. Spurs on the other hand are having an excellent season, probably their best premiership campaign ever with the fabulous Gareth Bale playing at a World Class level. 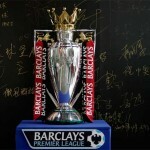 They finished 4th last year, but were edged out of the Premiership by Chelsea taking heir spot. For Spurs it is really Champions League or bust. They have ad a good season to date and will need a top 3rd or 4th place finish to solidify their season. 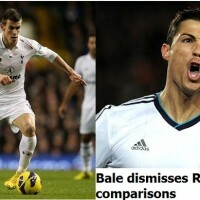 With Bale at such an excellent level the likes of Barcelona and Real Madrid have shown interest. It will take a champions league birth to keep him. With 11 games to go with Spurs in 3rd place on 51 points and Arsenal in 5th on 47 points there is no room for error as this is truly is a 6 point encounter. A win for Spurs will give them an impressive 7 point gap over their rivals an a massive impetus for the rest of the season. An Arsenal win may just give them the boost they need in their confidence for the stretch run.